Mike Mitchell is a Full Time REALTOR® and million dollar producer with Real Living Kee Realty. 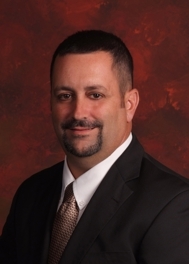 Mike has over 13 years experience in residential real estate. Mike generally serves the following areas: St. Clair Shores and all of Macomb County, the Grosse Pointes & Harper Woods & parts of St. Clair County but he can sell real estate anywhere in the great state of Michigan! Mike was a pleasure to work with including the office staff. Mike: From start to finish, we want to thank you for making the sale of our property a very positive experience. The marketing approach you proposed was an excellent blend of both traditional communication as well as delivering immediate feedback provided by technology. The process began with a very creative brochure that included an aerial view of the complex so prospective buyers would get an excellent feel of the lifestyle and environment of the property being very close to the lake. You then provided us with information relative to the Homestead Act so I could resolve an outstanding issue with the city. Receiving daily "morning reports" via email was both timely as well as respectful of our time as we could access them at our convenience and know when someone was interested. We were kept apprised in a timely manner with regard to all showings and appointments. You were available and responsive when we did need to talk to someone. When offers were received you not only communicated them with sensitivity but gave us a candid reply to our questions. In responding to offers that eventually led to acceptance and closing we really felt you represented our interests. Closing went off smoothly and you provided the buyer with specific information in a timely manner. As we said, from start to finish. Suffice it to say that we would recommend you to anyone looking to be heard and be serviced in the sale of their property. You will definitely be the first person we call in the future and will recommend you to friends as situations arise. Thanks for lightening our load during this stressful period Mike and we want to wish you all the best in the future - you deserve it! Mike was very accurate, professional and timely. Always returned a phone call. He was extremely patient and understanding and confident I would find a place I loved! Mike was very professional & did an excellent job communicating with us (which was important since we were out of state) & more importantly was able to sell our house & fast! Would not hesitate to use Mike again or refer to anyone else. Mike was absolutely amazing! He exceeded my expectations and helped make the most stressful time a pleasant experience! Just wanted to say thank you for getting the house sold. I will definitely recommend you to anyone who needs to buy or sell a house. Your attentiveness to detail and knowledge was extremely helpful through this process. You went out of your way to do all you could to help and made us feel as if we were the only customer you had at that time. We could not have done this without you. Thank you again and good luck.